Android was first released to the public 10 years ago, in 2008. It was a brilliant and lovable work-in-progress.Today Android is just as slick as Apple’s IOS. Android “Oreo” is the 8th major update and the 15th version of the Android operating system launched by Google on 21 august 2017. Now Google released Android 9.0 Pie on 6 august 2017. Android “Pie” is the ninth major update and the 16th version of the Android operating system. Google’s latest mobile software update for 2018 is Android 9.0 “Pie” or “P”. 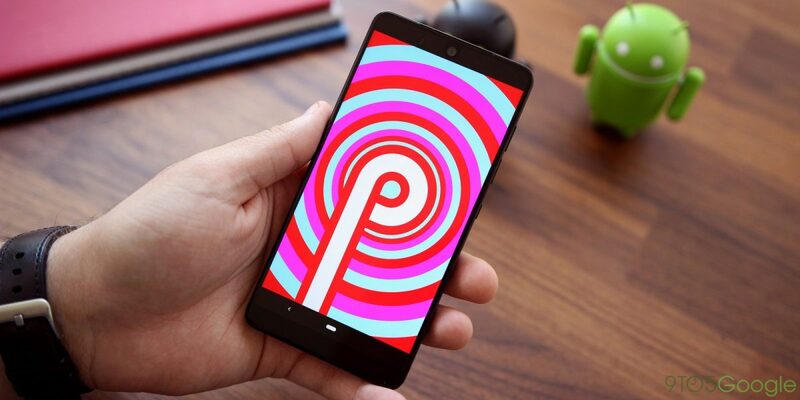 Android 9 Pie is a free update for eligible devices. it’s out for Google’s own Pixel phones. That incorporates the first Pixel and Pixel XL, in addition to the Pixel 2 and Pixel 2 XL. Hope to see it come running on the forthcoming Pixel 3, as well. Android 9.0 Pie uses the power of Artificial Intelligence to give you more from your phone. Android 9.0 Pie is bringing several features powered by artificial intelligence (AI). =>Adaptive Brightness: Adaptive Brightness takes automatic brightness to the next level, figuring out how you like your brightness in various environment, and automatically transforming them to suit your own preferences. =>Gesture Navigation: Now the traditional Android home button have been replaced with a little pill-shaped symbol at the bottom of the screen. Swipe up from the bottom to see your Recent applications, and a full swipe up will open up the application drawer. Swipe the pill-shaped home button to one side and you can rapidly swap back to the last application you were utilizing. The back button still remains, yet just when you’re in another application. You can tap the pill-shaped button to go home, and holding it will open Google Assistant.If you have Android Pie and want to try this gesture navigation approach, it’s found in Settings > Gestures. =>Lock screen: In Android 9.0 Pie, the lock screen will now show more than just the time, at least on Pixel phones. It is getting increasingly powerful. Now, it’ll also show things like the weather and upcoming calendar events you may have. =>Digital Wellbeing: Google’s major highlighted feature is digital wellbeing in Android 9.0 Pie.Google is implementing a feature that let users limit the time they spend on their phones, They can see where they’ve spent the most time, and wind down before bed. One of the new feature is Android Dashboard that helps the users to track the amount of time they spend on their device.user can check how long they’re using their phone to send messages, surf internet,make calls etc. User will be able to set up screen time limits for specific apps. Another new feature is Wind Down Mode with that user can tell Google Assistant when they would like to go to bed, and it will automatically put their phone on Do Not Disturb mode and switch their screen to gray-scale over a period of time.These Digital Wellbeing features aren’t available just yet. =>Supported Bluetooth: Android 8.0 Oreo provided the ability to connect two Bluetooth speakers at the same time. Now Android 9.0 Pie going to provide you the ability to connect Five Bluetooth speakers at once. Android 9.0 Pie now also remembers the volume at which you left each Bluetooth speaker, and will resume at that volume the next time your phone connects — stopping sudden bursts of scarily loud music. =>Adaptive Battery: Google has made lots of changes in Android 9.0 Pie to increase your battery life. An improved Battery Saver app in Android 9.0 Pie makes it easier to enable Battery Saver as your battery begins to drain. Instead of the option to enable Battery Saver at 5 or 15 percent, now there’s a slider that allowing you to enable Battery Saver once your battery reaches 70 percent or below. 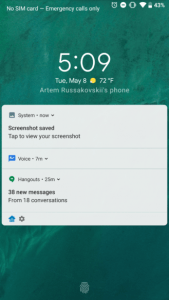 =>Do Not Disturb upgrades: In Android 9.0 Pie Do Not Disturb is now much simpler to use. Tap it once and you won’t see, hear, or feel any new notifications coming in. =>Lock down Mode: One of the biggest additions to Android 9.0 Pie is the new “Lockdown” mode. To activate it, hold down your power button and select Lockdown from the list. This will lock your phone down, clearing all notifications and personal info from your lock screen.To unlock the phone you need to enter password or PIN. No way to unlock the phone using biometric entry.It’s similar to Apple’s USB restricted mode which locks the phone down and stops anyone to being able access your phone. =>screen rotations: Currently Android offers screen orientation lock feature which is little bit annoying to use when you’re switching between apps. Android 9.0 Pie offers a new way to prevent accidental screen rotations. You can also rotate a screen to a specific orientation through the navigation bar. If you want to switch the orientation, you simply need to tap the icon to let your phone do its thing. =>ML Kit: new feature that makes Android 9.0 Pie much more user-friendly. With ML Kit, app developers can use Google’s machine learning tasks within their own apps. ML Kit allows developers to use the camera for face detection,text recognition, and other recognition features. ML Kit is not Android-specific. => Improved Privacy: When we talk about user privacy then Google may not have the best track record, the company is working to improve that. The new operating system version will restrict access to the phone’s microphone, camera, and other sensors. When an app is idle or running in the background, it will be unable to access any of the phone’s sensors (other than GPS). If an app does need to access a sensor while running in the background, it will have to show a persistent notification on your phone.